Little Office of Research Integrity (LORI) - U of VICTORIA, Mat. Res. Soc. Symp., Herring et al. Data points reported in ﻿Mat. Res. Soc. 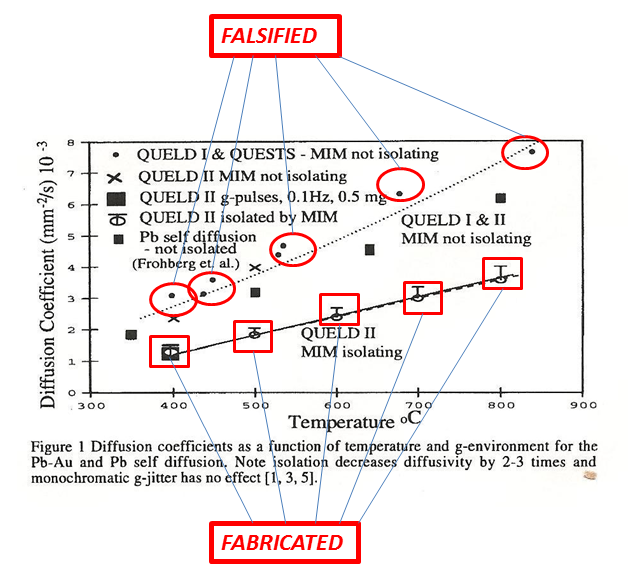 Symposium ﻿(Figure 1, below) are fabricated and falsified. 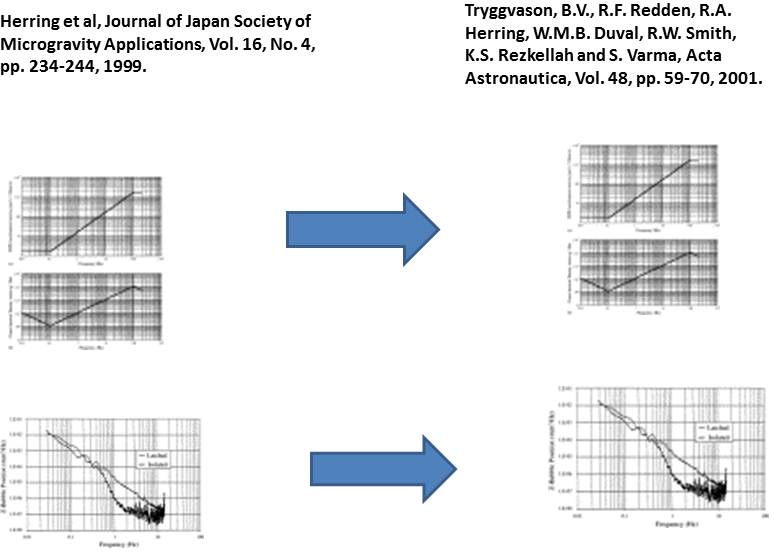 The same fabricated data are also published in J. Japan Socity of Microgravity Appl. and in Acta Astronautica . 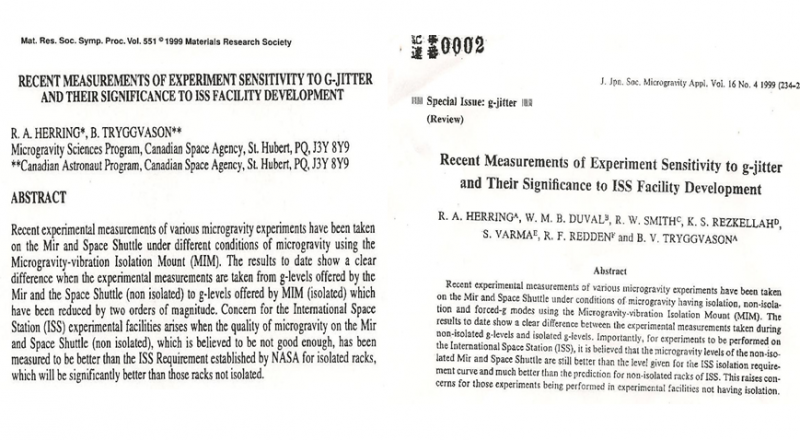 The authors argue that in order to precisely measure diffusion coefficients in liquid metals, the Microgravity Isolation Mount (MIM) developed by the Canadian Space Agency should be used to isolate the experimental facilities from the disturbing effects of g- jitter. 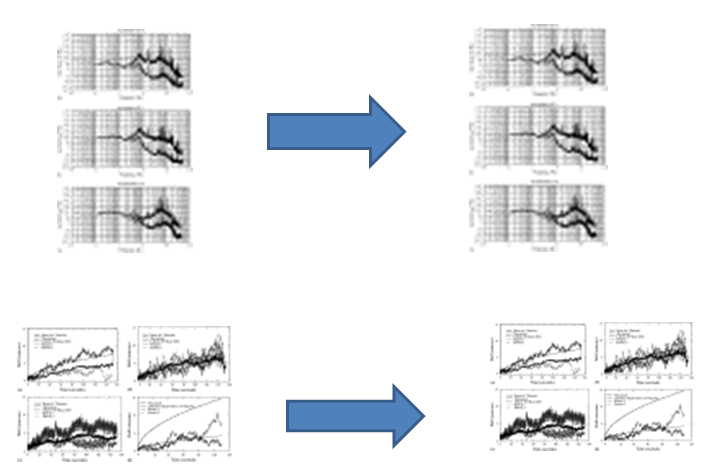 The authors present experimental data in Figure 1 and claim that diffusion coefficients measured under isolation conditions show a linear relationship with temperature. But the data points are all fabricated. Herring states that the data is not his and that he was "forced to publish" the paper. What else does he say? The authors further claim that ﻿ under non-isolated mode, the relationship between diffusion coefficient and temperature can be described by a parabolic relationship. But the results are falsified. 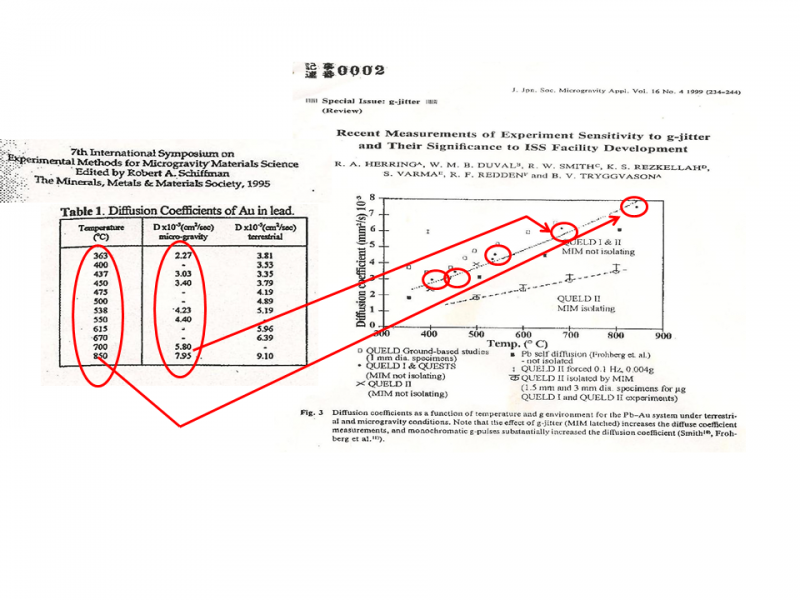 In order to claim a parabolic relationship, the authors have altered the original data that were reported by X. Zhu in 1995 (Table 1, below). 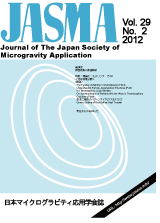 Acta Astronautica J.Jap.Soc.of Microgravity Appl. 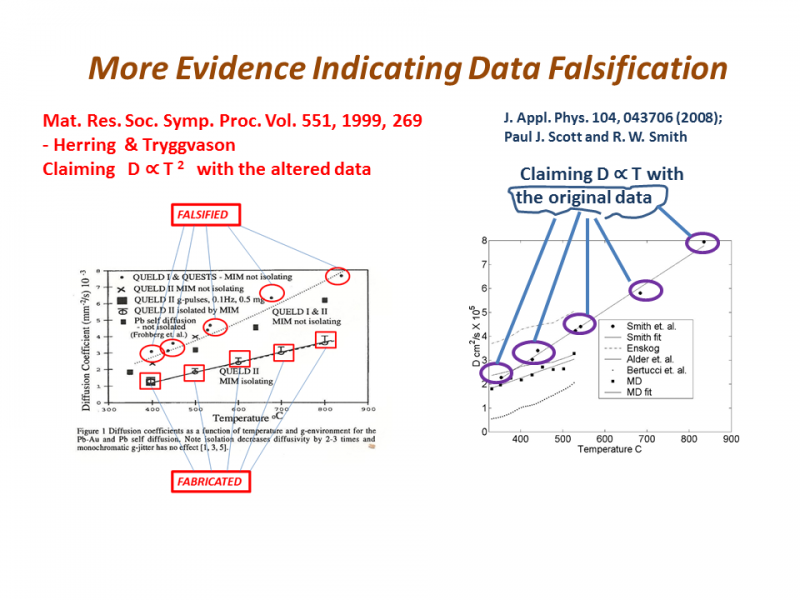 The same fabricated and falsified data that were reported by Herring et al. 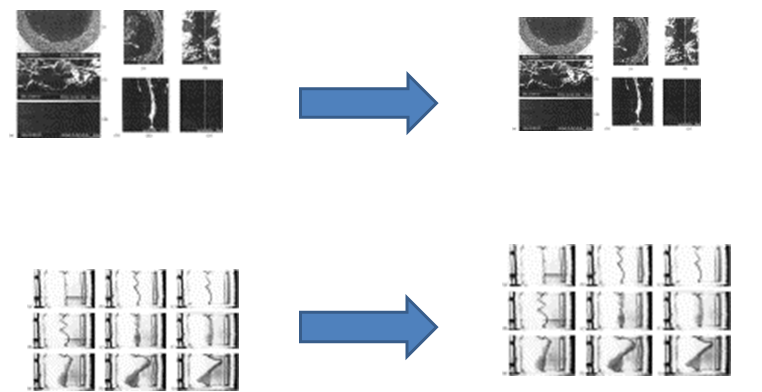 are also used by Smith et al (Queen's University) in many other papers, including Ann. N.Y. Acad. Sci. 1161: 526-536 (2009). Find out how data were made up. Click here.